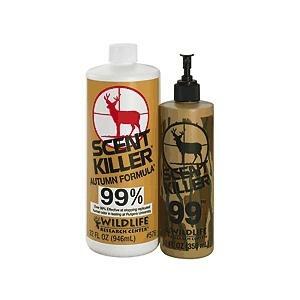 Neutralizes human scent at the molecular level and adds the natural scent of the woods and fields during autumn. 32 oz refill, 4 oz pump PACKAGE INFO: 1 each. Revised 7/16/09 catalog states 32oz refill, actually 32oz with 12 oz spray. 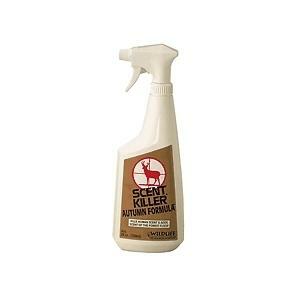 Neutralizes human scent at the molecular level and adds the natural scent of the woods and fields during autumn. 12 oz. Spray. :Scent elimination clothes wash with the scent of Autumn. Eliminates human odor by preventing odor molecules froming a gas. PACKAGE INFO: 1 each 32 oz. Bottle. 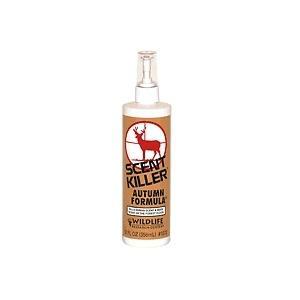 Neutralizes human scent at the molecular level and adds the natural scent of the woods and fields during autumn. 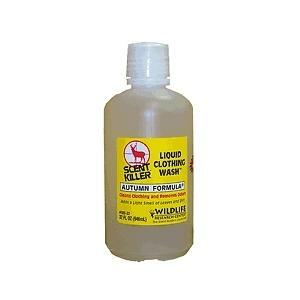 24 ounce trigger spray. PACKAGE INFO: 1 each.